Many folks living around the Katong area will have seen this popular lunch set for just S$6.90 nett. 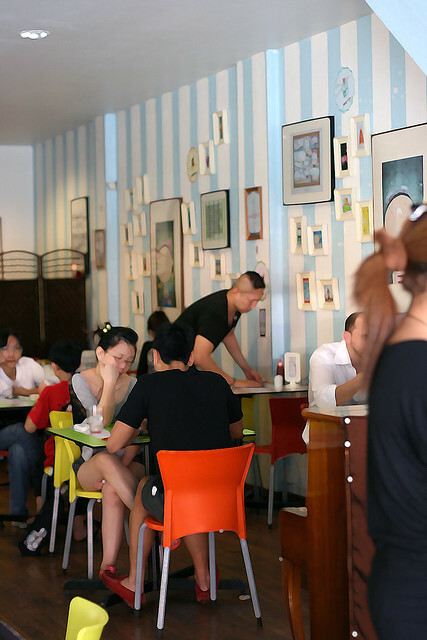 A four-course meal for just S$6.90 with no GST and no service charge? That almost gives the fast food chains a run for their money! 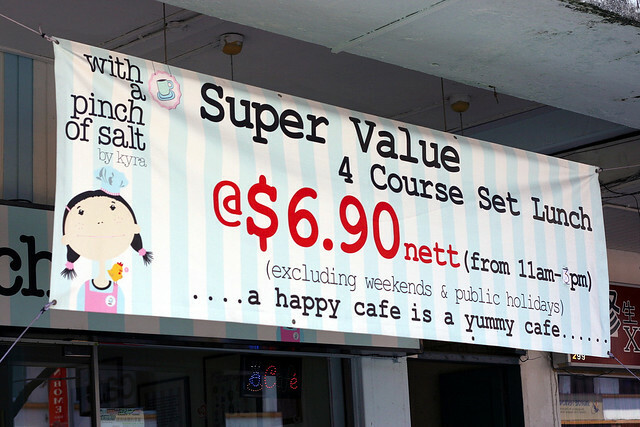 "With A Pinch of Salt" has been at Tanjong Katong Road for a couple of years now. The cheerily whimsical and lighthearted decor gives it great personality. Many people also appreciate the affordable prices for the Western fare served here. 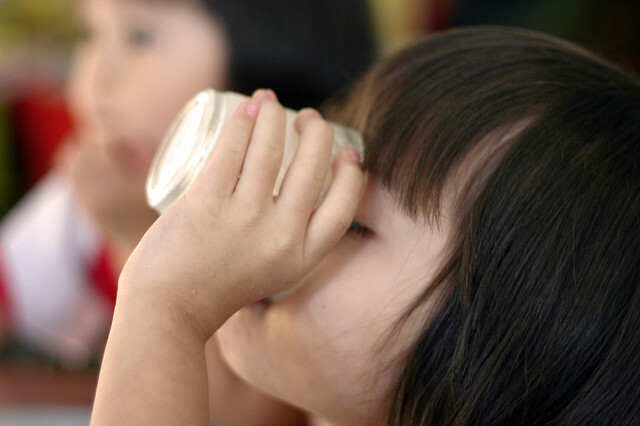 The place is very family-oriented and kid-friendly. It almost feels or looks like someone's home. 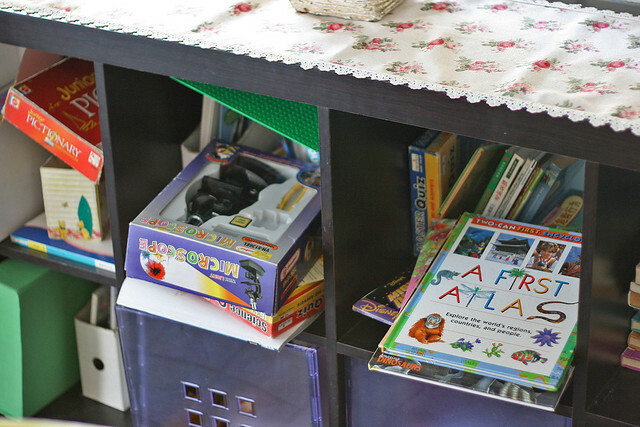 There are many well-loved books, games and toys for the young and young-at-heart. These are great while you wait for your food. 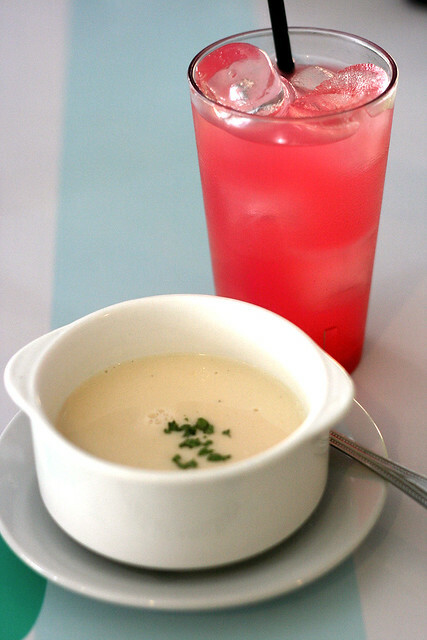 The weekday lunch set comes with a soup and drink. Well, these count as two courses. There are four choices of mains. 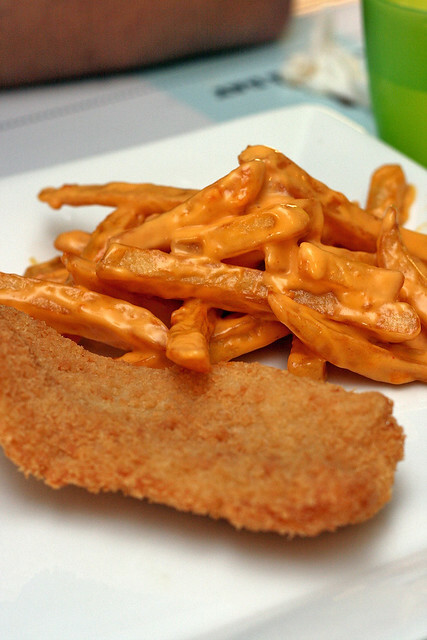 We took the "Cheesy Mermaid", which is really breaded fish and cheese-drenched chips. Not too bad. Dessert, the last course, is a scoop of ice cream. The kids happily devoured it before I could take shots. We also tried some of the a la carte dishes. 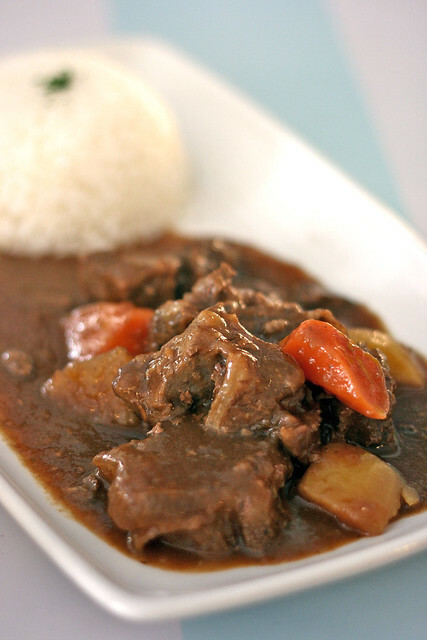 "Secret Beef Stew" (S$11.90) - hearty beef stew, served with rice. Oddly, the rice was warmer than the stew, but we dug into this with gusto anyway. 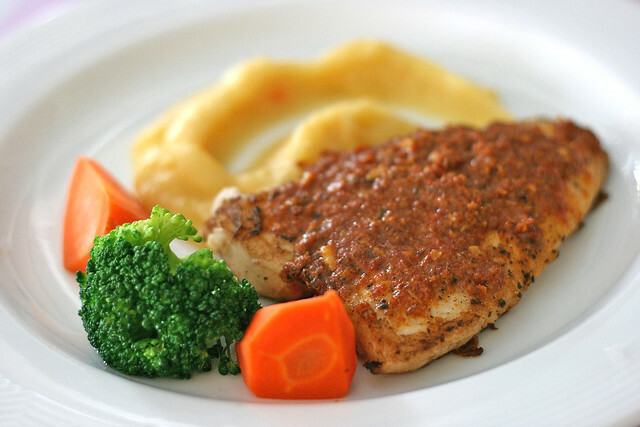 Mrs Dory Sambal (S$9.90) was not too bad either. 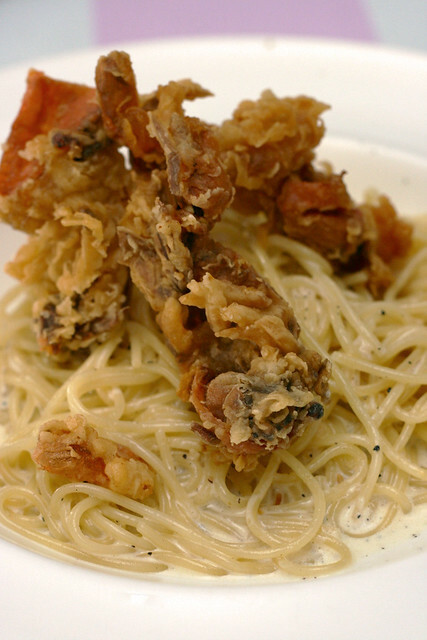 Sissy Crab Pasta (S$10.90) - crunchy soft-shell crab on pasta with a choice of either tomato herb sauce or cream sauce. I opted for the cream one, as I'm not fond of tomato-based anything, but I wonder if the tomato-based sauce would have been a better idea. The cream pasta lacked seasoning (I'm not sure if this is deliberate, perhaps for the elderly who need to watch salt intake?). Even the crab was just so-so. This was the only letdown among the dishes. But I guess the star attraction, if you are ever in the area around lunchtime (11am to 4pm), is the weekday set lunch. 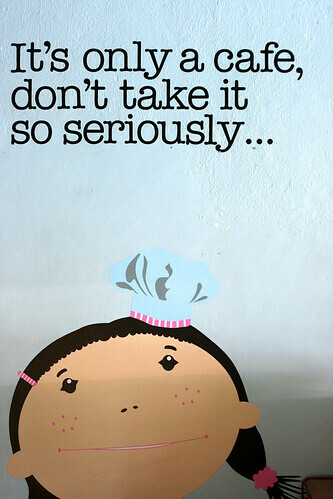 If you aren't too fussy, the set can be good value indeed. Fri - Sat 11am to 2am!